For individuals and families. This property is partially subsidized offering 6 out of 35 units with direct subsidy through the USDA Rental Assistance Program. With this subsidy you will pay rent based on 30% of your income. 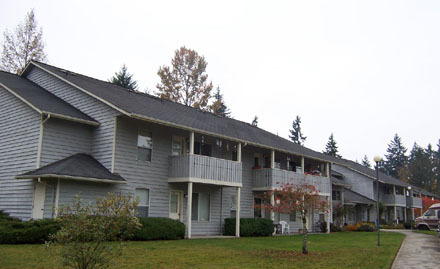 Lovely two story town homes located in the historic town on Port Angeles. For individuals and families. Income Limit Details: USDA Income limits and WSHFC Tax credit limits apply. RENTS LISTED ARE OUR NON--SUBSIDIZED RENTAL RANGES. This property is partially subsidized offering 6 out of 35 units with direct subsidy through the USDA Rental Assistance Program. With this subsidy you will pay rent based on 30% of your income.